The sun has finally risen and the fine weather looked promising. Nella, who works as one of the caretakers of Loboc Church, left her humble abode earlier than the usual. She arrived at the church around seven thirty in the morning and prepared for work, even if it's a holiday. She went outside, looked up, and admired its beauty. The exterior is made up of ornated corals and stones and had been standing there for centuries. For some, Loboc Church is their place of worship but for Nella, she already considered it as her second home. She had grown fond of it and decided to spend the rest of her life within the vicinity of the church. While pulling some weeds, the ground shook violently. Instinctively, she ran for cover but lost her balance and fell. 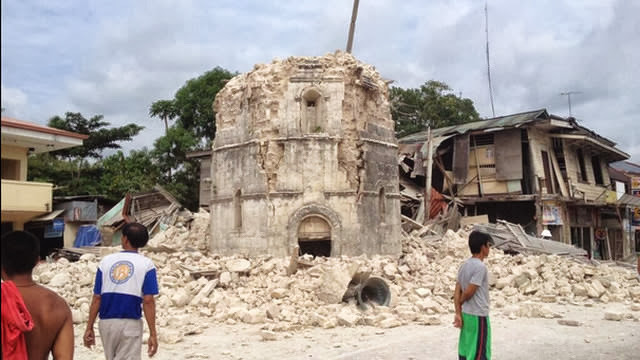 And right before her eyes, the once majestic Loboc Church was reduced into a pile of rubble in just a matter of minutes. The news about the shallow magnitude 7.2 earthquake that struck Central Visayas last October 15 was truly heartbreaking. As of this writing, it had claimed 107 lives and damaged numerous properties - including historic structures - across the region. 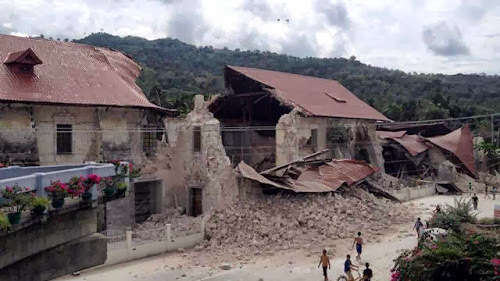 According to the Philippine Institute of Volcanology and Seismology (Phivolcs), the quake struck at exactly 8:12 am, with its epicenter located at 2km southeast of Carmen, Bohol. The quake's depth was 33km and it was said to be tectonic in origin, according to the initial reports of the Phivolcs. Earthquakes are common here in the Philippines as it sits right inside the Pacific Ring of Fire. The recent tremor in Central Visayas may not be as strong as the Luzon Killer Earthquake back in July 1990, it had destroyed centuries-old churches in Bohol and Cebu. 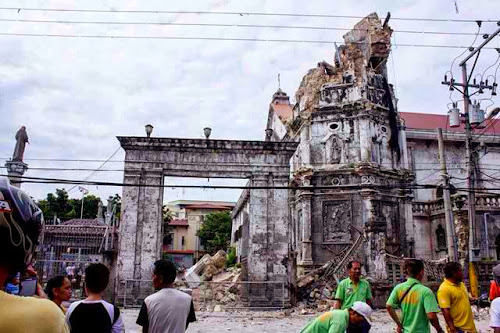 As a travel blogger, it is indeed heartbreaking to see all those photos of the ruins of the old churches. What was left was nothing but debris. I am not religious but I do value my country's history, most especially its history of Christianity. I have been to some old churches in Boljoon, Cebu, and Siquijor and every time I enter the old building, I always have this 'enigmatic' feel. I couldn't just fathom on how this seemingly massive building was built a few hundred years back and how it was diminished into dust within minutes. 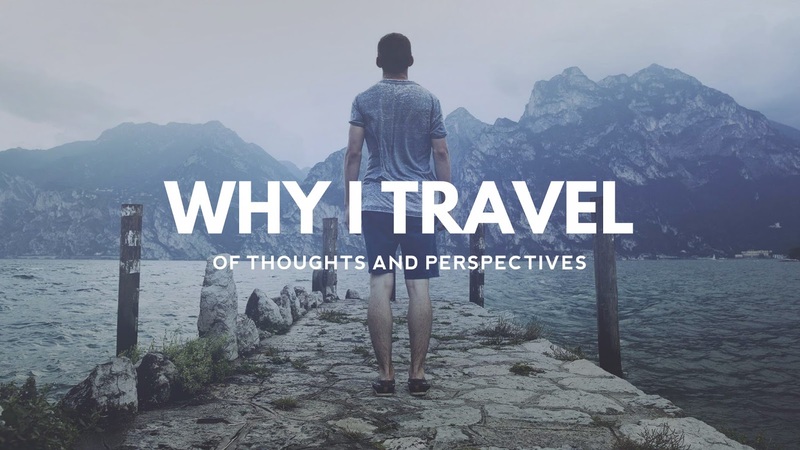 It is really sad, knowing that I haven't been to these places. Despite this adversary that we are currently facing, Filipinos are resilient. They do not give up easily. WE DO NOT GIVE UP EASILY. 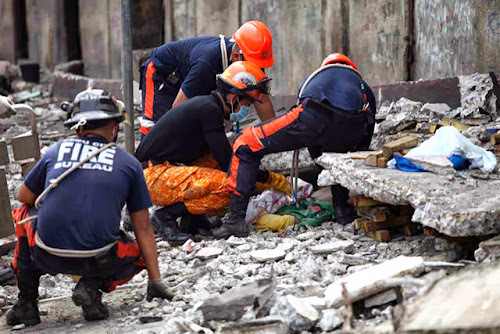 As for Nella, she is still thankful because no one's inside when the building collapsed and she was also unharmed. 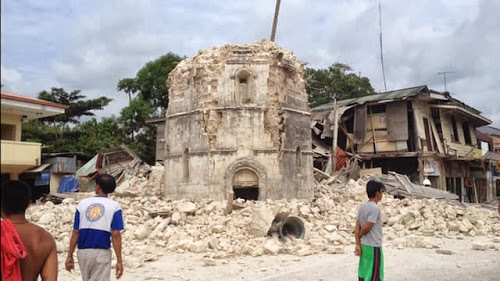 The magnitude 7.2 quake may have destroyed the strongest pillars and foundations of the old churches, but it will never, ever destroy our fighting spirit. 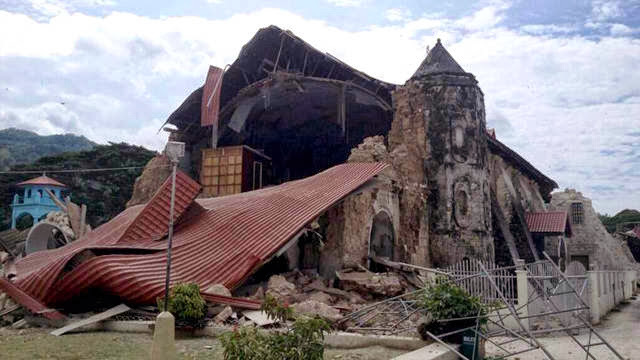 Just look at this way: the churches were shattered into millions of pieces, but we were once again united as one. 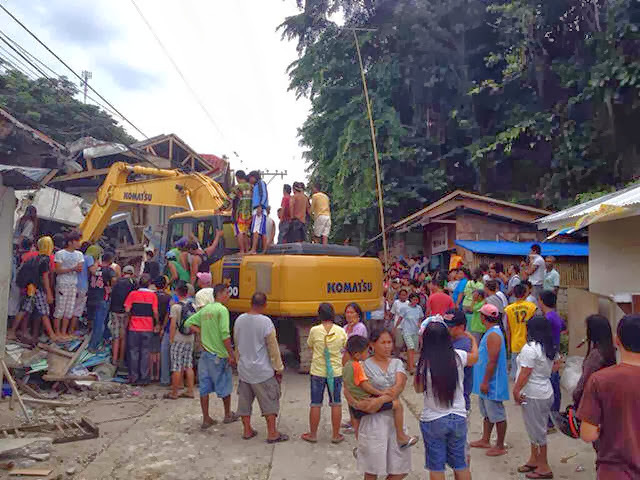 Together, we rebuild what was destroyed and regain what was lost during the disaster. Nella's story is just a work of fiction but the events are real. All photos were taken by Robert Michael Poole via Rappler.